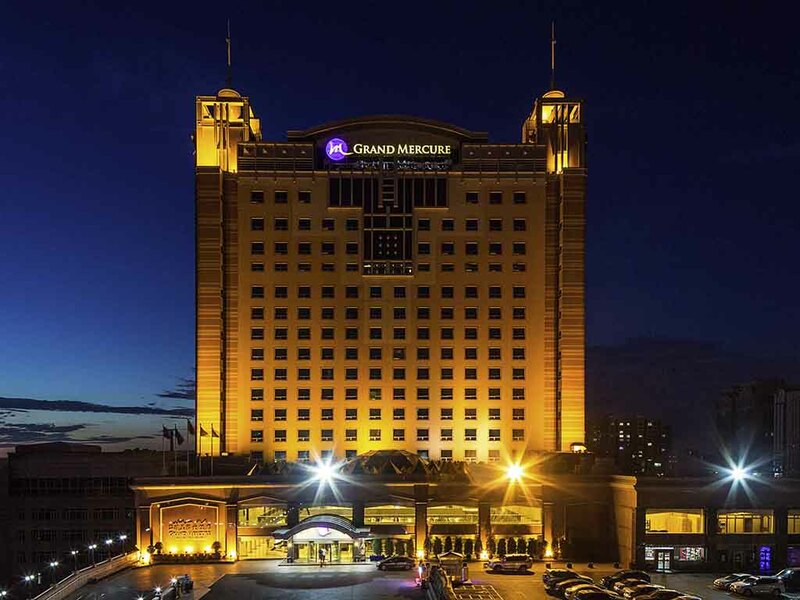 Grand Mercure Urumqi Hualing is an international five-star hotel located in the down town. The hotel location offers easy access to the city's business, shopping and entertainment venues and the sightseeing places. Only 15 minutes drive to the airport. There are 3 distinct restaurants, a lobby bar, comprehensive meeting and banquet facilities, a gym, a spacious and secure free parking for guests in the hotel. All guest rooms and public areas have complimentary WIFI access. From our hotel to the beautiful Hongshan Park only 10 minutes walk, and 15-minute drive to the Grand Bazaar. Excursionist can take a shot trip to the Heaven Lake of Celestial Mountains and Nanshan Pastureland. Located in the central of Hualing wholesale market, it's easy to get Xinjiang famous products. The all brand-new guest rooms offer the comfort expected from a 5-star hotel, all equipped with WIFI and high-speed internet connection, comfortable beds with the finest bed linen and appealing bathrooms with rainforest showers. The Chinese restaurant offers nouvelle Cantonese cuisine as well as Xinjiang local specialities to suit the most discerning tastes. The all-day restaurant provides a sumptuous international buffet and features an open-style kitchen to give you an all-new dining experience. The lobby bar serves a wide selection of afternoon teas, freshly ground coffee, cocktails and fine wines throughout the day, to add the perfect touch to your business and leisure activities.